An art restorer encounters a supernatural canvas that is bleeding and that's all the introduction we get until it's Abigail giving some sort of pep talk to Ichabod who is going to go out on a date with Katrina. What even is this show anymore? They go on the date at some sort of fancy even going on with Sleepy Hollow's historical society in which the group is celebrating their most recent acquisition: a treasure trove of various objects that once belonged to John and Abigail Adams. They meet Grant Hollister, the art restorer seen earlier, who still has blood on his hands though Katrina thinks it's merely paint. He pulls Ichabod aside, looking awfully anxious, but gets pulled away before he can say much. Katrina experiences a flashback and senses some sort of dark presence, which she informs Ichabod of. He says they must keep their eyes open since Grant had just tried to warn him about something. Abbie's back at the station, hard at work, when who should come waltzing in but back-from-the-dead Irving! Ichabod and Katrina realise that Grant's body has been arranged to look like a Tarot deck's Hanged Man card. His murder is also identical to a series of murders from 1781. Also, Abigail Adams had been investigating this series of murders in which the killer had targeted orphans and habitually sliced them across the carotid artery. Abigail speaks with Irving and explains that his soul belonged to the Horseman of War, which may account for his return. Irving says that he was lost, looking for a door and searching for her. Abbie is understandably cautious about his return and that she can't risk what happened again, referring to Andy. Abbie says she'll let his wife Cynthia know but for now, Irving will remain in custody until they can find some more answers. Ichabod and Katrina examine a painting and find that there is fresh blood on the knife being held by the artist in it. They had speculated that perhaps the killer was a surgeon, but an artist would also have an understanding of human anatomy. The painting is a self-portrait of the artist. When they turn back to the painting, they find the artist looking back at them. They speculate that Grant had accidentally activated the painting while he was restoring it. The murderer is a painter named James Colby, who was a relatively poor artist. He descended into vagrancy, and disappeared without a trace in 1782. He drains the victims of their blood in order for him to paint the inverted cross so he may resurrect himself. So he must now take another victim. They head back to the painting and find that he is missing. They determine his next victim and set off to find him. Abbie shares the news of Frank being alive with Jenny, who is happy that he is returned. Jenny tells Abbie that things were different with Andy, since Andy had made a deal whereas Frank went to prison to protect his family. Abbie is still skeptical but they still don't know how to proceed. Abbie is prepared to put Irving back in the ground if he's not back in his honourable form. They must find an artefact that they can keep handy in case they need to do so. They both admit that they don't want to have to kill him, though. While Jenny goes off in search of one, Abbie relays the news of Frank's resurrection to Cynthia. Cynthia must keep quiet about this until they can learn more. Cynthia wants to see him, just as Frank wants to see her, but Abbie apologetically says that it's just too dangerous until they can figure out if Irving poses a threat. Ichabod tracks down the next would-be victim and learns that he and Grant have both heard the painting speaking, wanting blood. Katrina catches a glimpse of Colby, with a knife in hand and covered in blood. Jenny has been sent to retrieve a gun and some magic bullets after getting the information from Hawley, who thankfully we don't have to see or hear. Unfortunately, the corpse Jenny digs the bullets out of comes back to life until she puts one of the bullets back into the corpse. Hawley was too useless to share that piece of information but our girl was clever and quick enough to survive the encounter. Ichabod is unable to stop the final victim before he gets sucked into the painting, where Colby promptly strings him up. Ichabod notes that there's fractures in the frame that appear to be deliberate. They are runes that were carved to keep the killer trapped. Katrina finds a journal belonging to Abigail, in which she learns that Abigail had figured out Colby was the killer. Abigail allowed herself to be captured, but she had hired Reverend Knapp to help entrap Colby in the painting. Why couldn't they just outright kill him? Or destroy the painting? Ichabod decides he must go into the painting after Colby. Somehow, Katrina manages to successfully perform a spell without even painting! She is determined to go into the painting with Ichabod, which they do. Irving is being transferred to a holding cell. Jenny brings the bullets to Abbie but says that she still firmly believes that Irving isn't a monster. The medical practice didn't turn up anything unusual but it's Irving's soul that Abbie is most concerned about. We also learn that Jenny and Abbie both aren't big fans of Katrina but they think that perhaps she should be the one to do a magical examination of Irving to determine if anything else is wrong. Ichabod and Katrina are inside the house inside the painting. They manage to locate the historical society's curator, Miller, and together get him out of the painting. He's bleeding out but he's still alive for now. Katrina performs the spell to get them out but Colby is restored and ready to follow, which he does. They realise they must destroy the painting. Ichabod tries to pour some paint thinner on the painting but that's precisely when Colby comes out of the painting and sends Ichabod flying back. Just when he's about to attack, who should show up but the glorious Leftenant herself, Abbie Mills! She fires a shot at Colby, but it doesn't kill him, simply slowing him down instead. Ichabod tells her to shoot the painting, which she does and then it's lights out, Colby. Miller will survive, Reyes is mad at Abbie for disobeying orders to not speak to Frank Irving, and Ichabod tells Abbie he believes she was right to speak to him. He's grateful she arrived when she did with those enchanted bullets and she teases him for not calling/texting before jumping into a magic painting. And in this all-too-brief Ichabbie moment, there is more chemistry than any of the painful Katrina nonsense being shoved in our face all night. 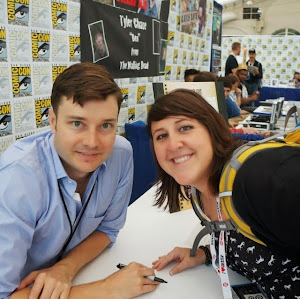 The writers try to put some sort of progression in Ichabod and Katrina's relationship by having a positive (?) interaction between the two at the end but its' hard to pay attention and pretend like any of what's being said isn't nonsense. Back at the station, Abbie tries to apologise to Reyes. Reyes understands that Abbie is loyal to Irving and says that the DA just called and that there's been evidence recovered that will exonerate Irving and he will be able to go free. Abbie looks concerned, as she has yet to determine if Irving is a threat or not. 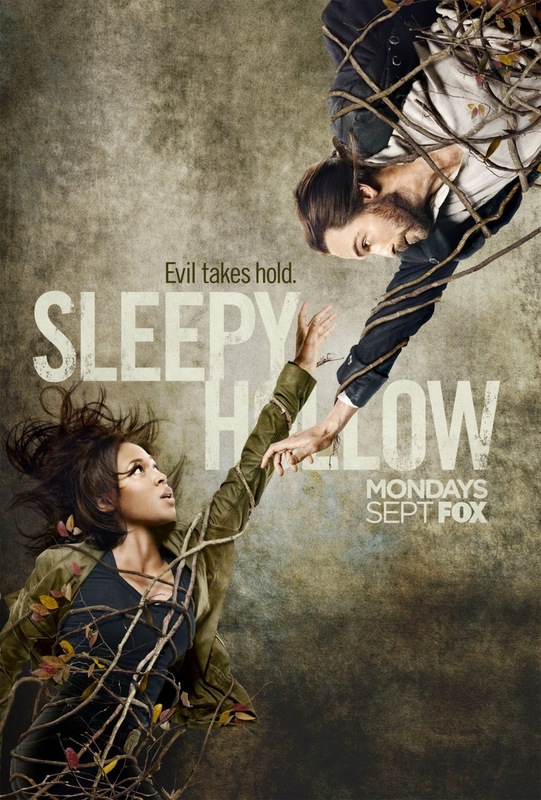 Sleepy Hollow airs on Mondays on FOX at 9PM.